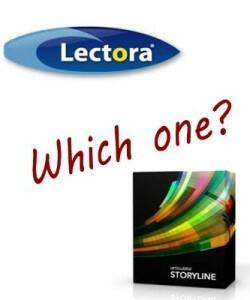 Articulate Storyline or Lectora – which one should you choose? Over the years, we have developed a wide range of eLearning content for organisations both small and large, from customer service and sales training through to national NZQA qualifications. 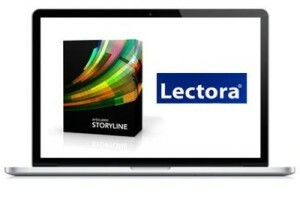 The question we often get asked is, “What is better, Articulate Storyline or Lectora?”. If that question was posed to us, two years’ ago, the response would be very different to today. Back then, we would be adamant in recommending Lectora as an eLearning authoring tool. It came with all the functionality you would want and need to deliver exactly the learning experience you are after. On the other hand, Articulate Storyline was very much a PowerPoint-to-eLearning-module converter. It was designed based on the philosophy of being easy to use – and it was because anyone could pick it up. However, its ease of use was also its weakness; there were restrictions in what you could do and show content. In some ways, these two tools are comparable to Microsoft and Apple in relation to their design philosophies. Lectora, like Microsoft, allows the user to do as they please. There is pretty much no restrictions in what you can build or tweak. 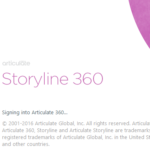 Articulate Storyline is like Apple, where there are build-in restrictions on what one can do. As everyone knows, Apple prides itself on being intuitive whereas Microsoft focuses on functionality. This is one of the ways we tend to compare Lectora and Articulate Storyline as well. What about today? Do we still recommend Lectora as the authoring tool of choice? Its development philosophy has not changed too drastically. Because it comes with so much customisable features, in 2013 – and in our opinion – Lectora started focusing on making the user interface more user-friendly. On the other hand, Articulate Storyline – again, based on our experience – over the past year has focused on ensuring it continues to be the leader in mobile / HTML5 delivery of learning modules (especially via their iOS app). So which one is best? To us, to deliver the most effective eLearning module depends on the fit between the end-user and the tool itself. Articulate Storyline is like the tortoise in the race. It fell behind early in the race, and in 2014, it has not only caught up with the rabbit (aka Lectora), it is now the authoring tool we recommend to clients launching eLearning. The ease of creating and applying set conditions and variables and the relatively bug-free experience are the top reasons why our preference has changed. 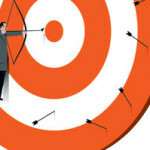 Nevertheless, we are certainly far from being “fan boys” – nor are we being sponsored by them! Toe-to-toe, both authoring tools can deliver outstanding experiences to your learners. Realistically, the content remains king, and the instructional design behind it still matters. We believe if the content is designed to match the needs of the learners, then it does not really matter what tool you end up using. So, let’s not beat around the bush. Do we still recommend Lectora? Yes, we do. However, we also highly recommend Articulate Storyline. Both have their merits, and it comes down the end-user’s preference between freedom but with a steep learning curve or some design restrictions but a lot easier to pick up and use?